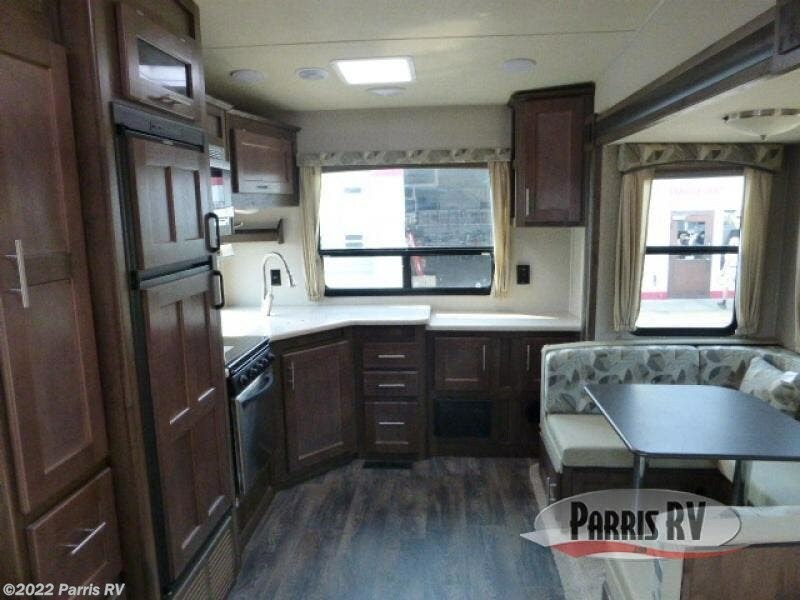 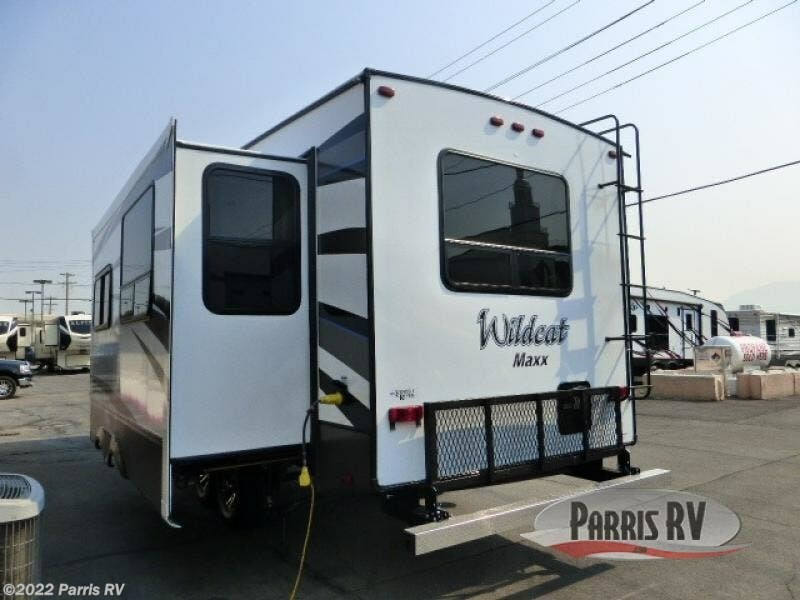 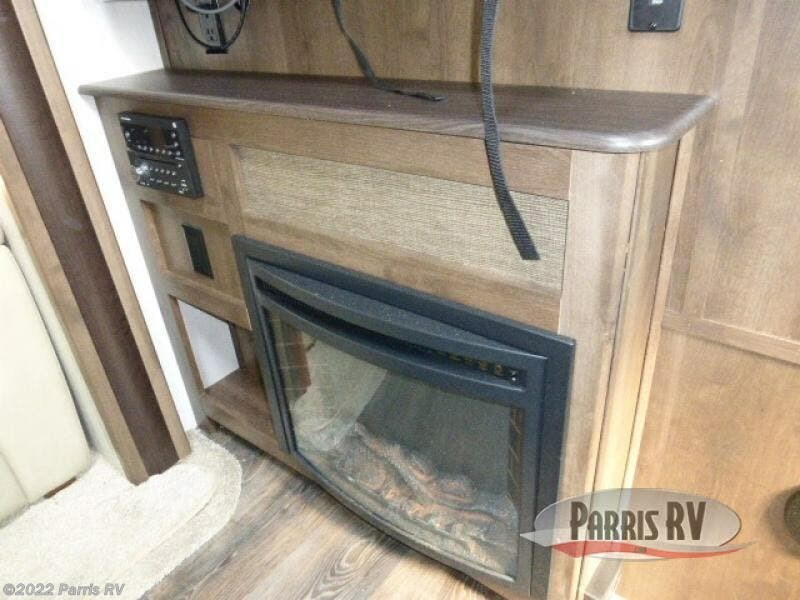 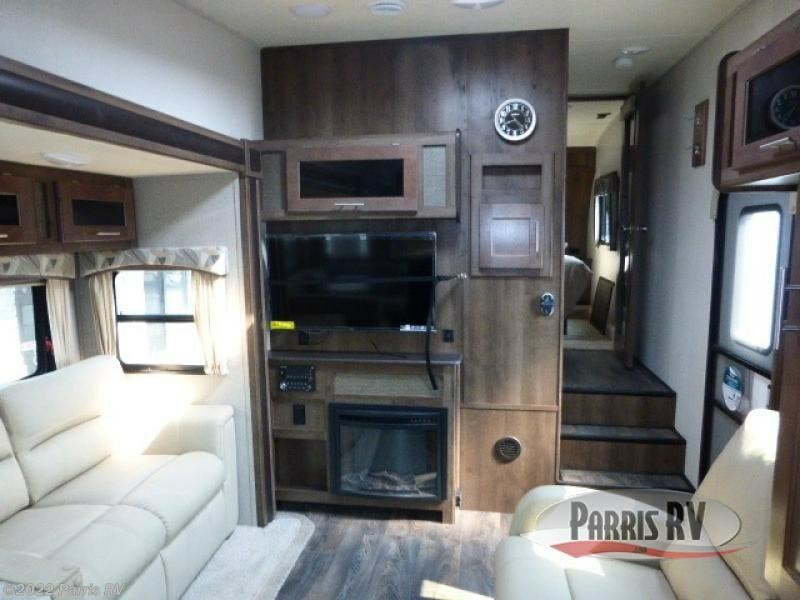 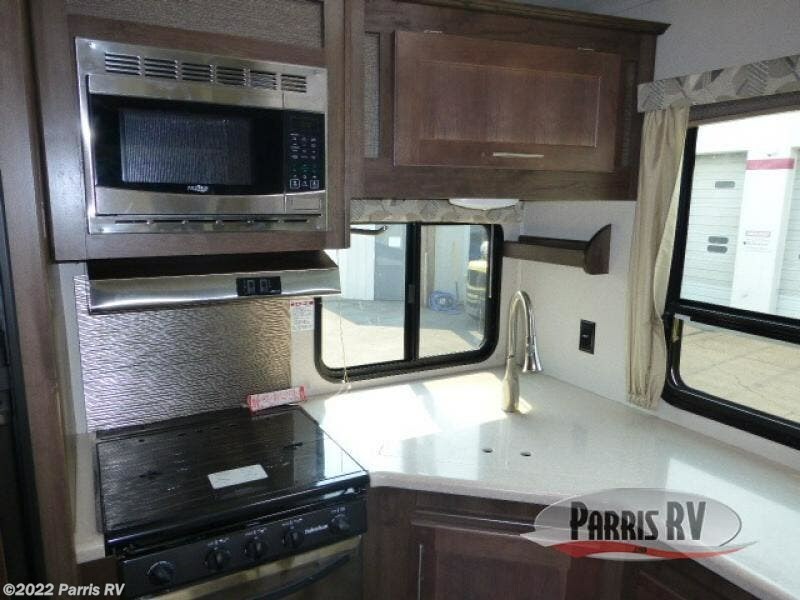 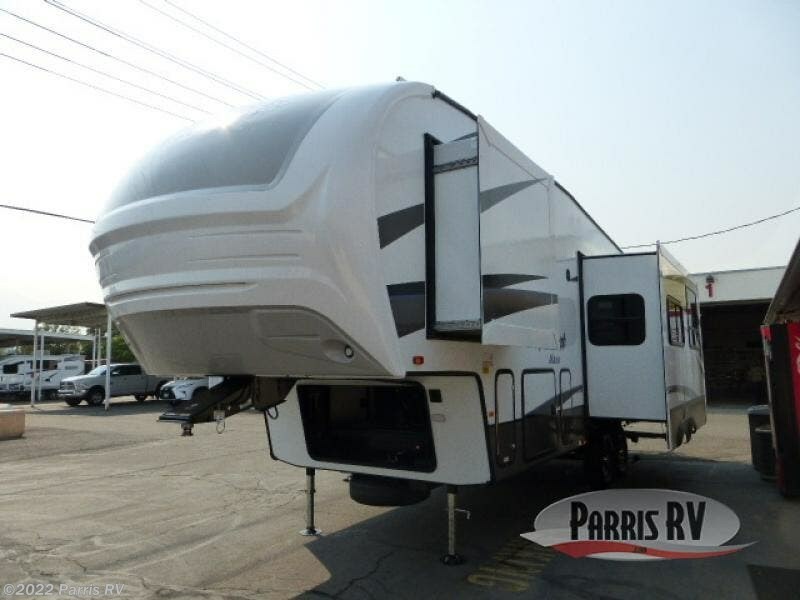 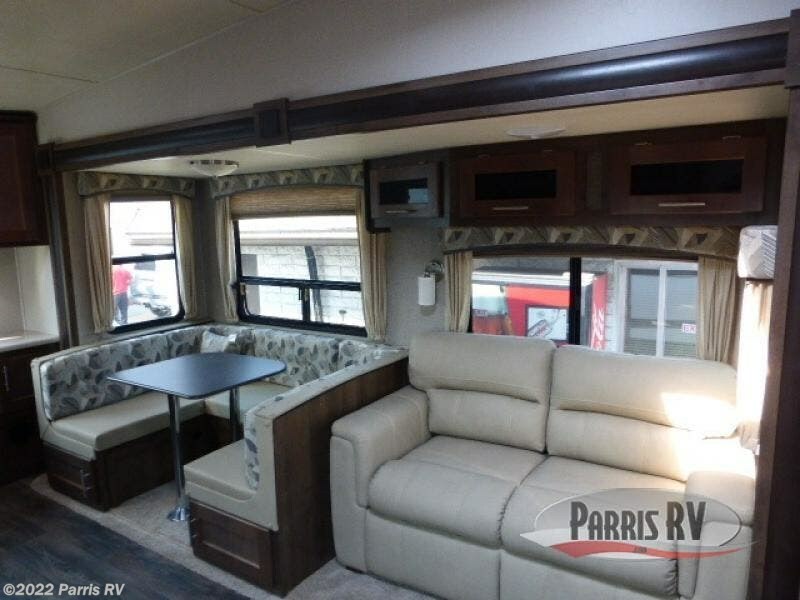 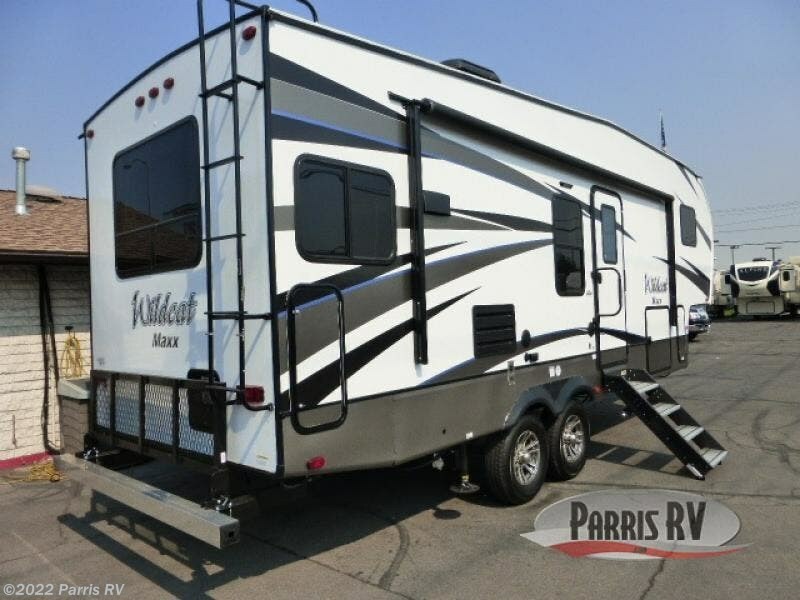 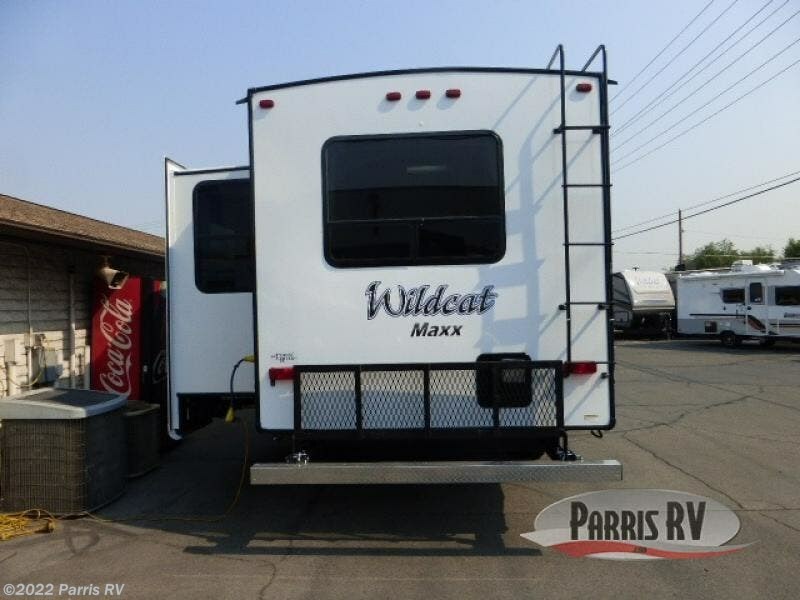 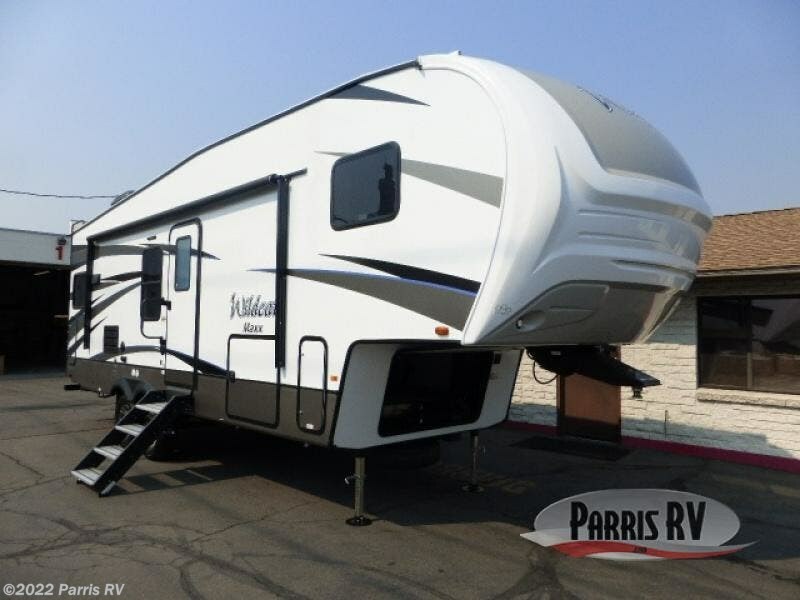 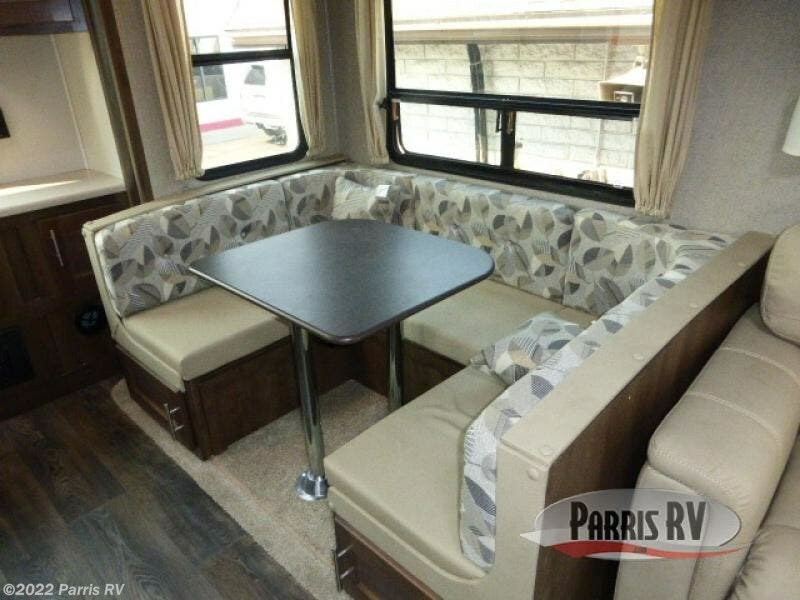 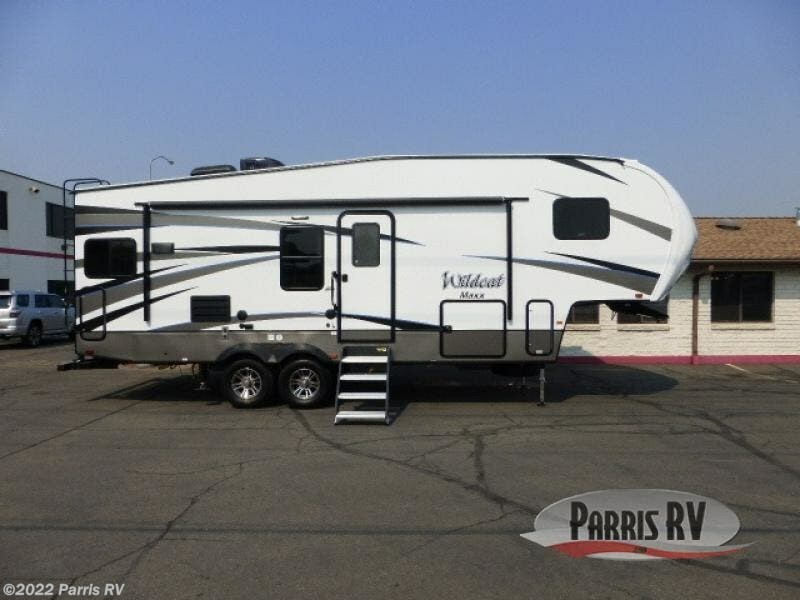 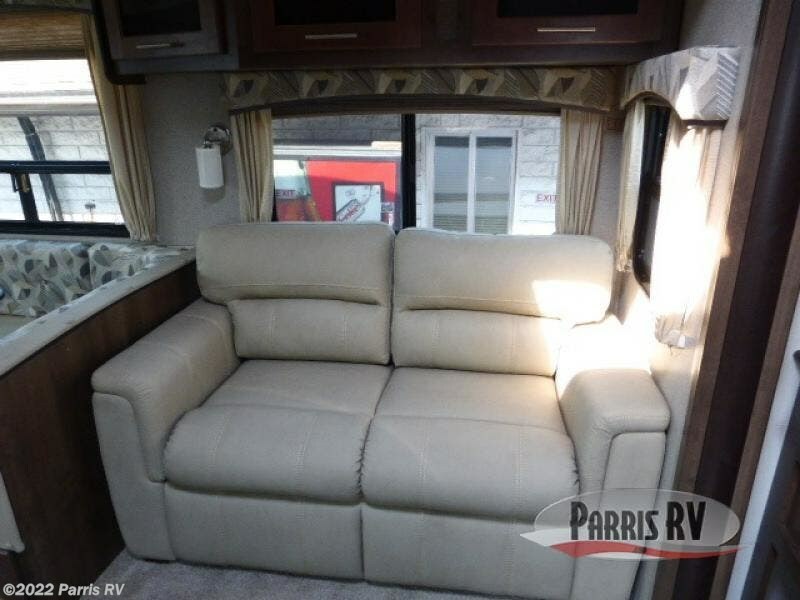 Enjoy camping inside the Wildcat Maxx 262RGX half ton fifth wheel by Forest River which features a rear kitchen and double slide outs. 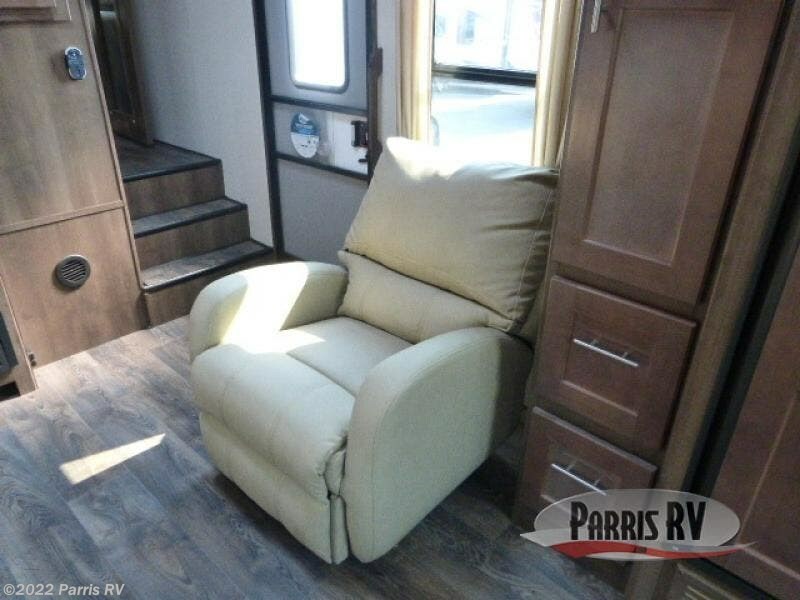 As you enter the fifth wheel, to the left there is a chair. 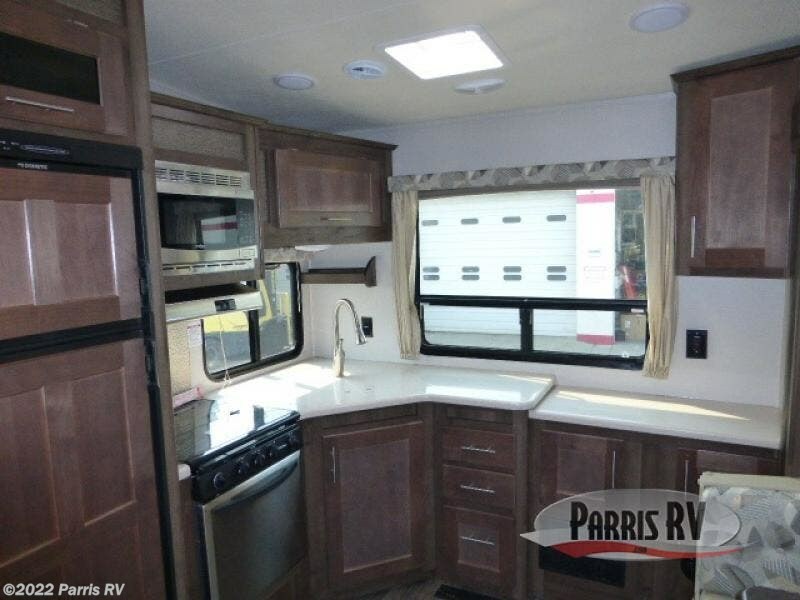 The kitchen area has a pantry, refrigerator, three burner range, microwave, double kitchen sink, and a large counter space. 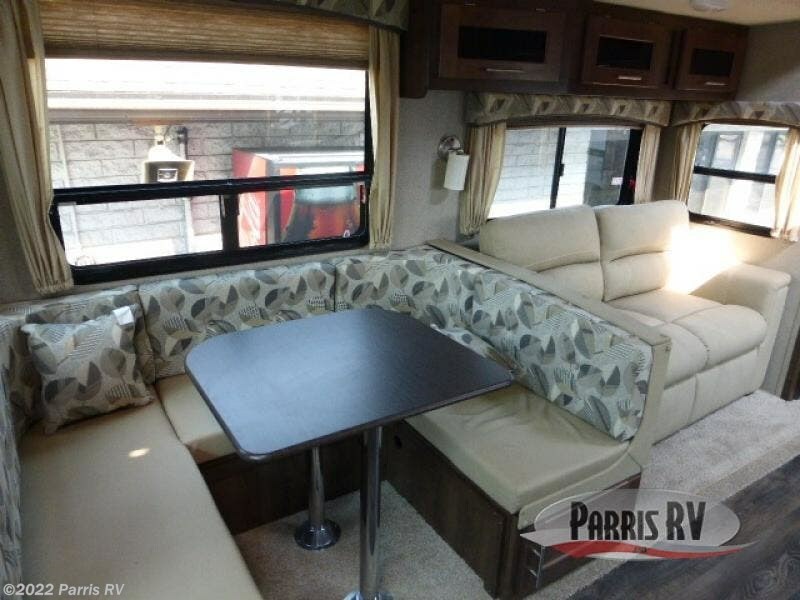 The slide has a u-shaped dinette, or an optional free-standing dinette, and a sofa. 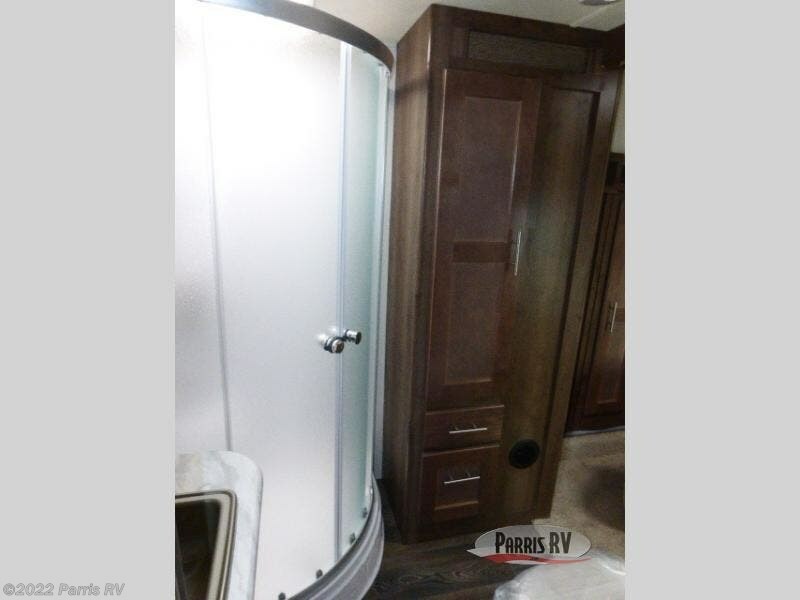 Next to the slide out you will find an entertainment center. 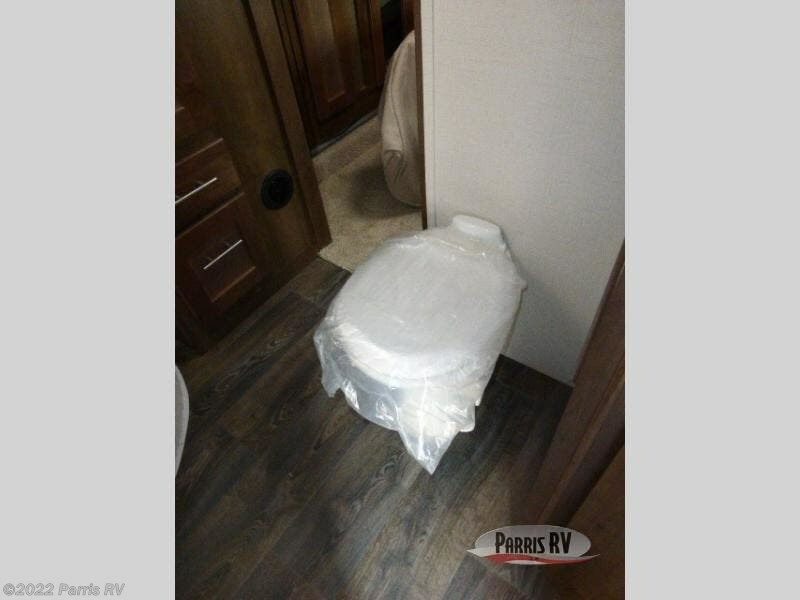 Step up to the bathroom. 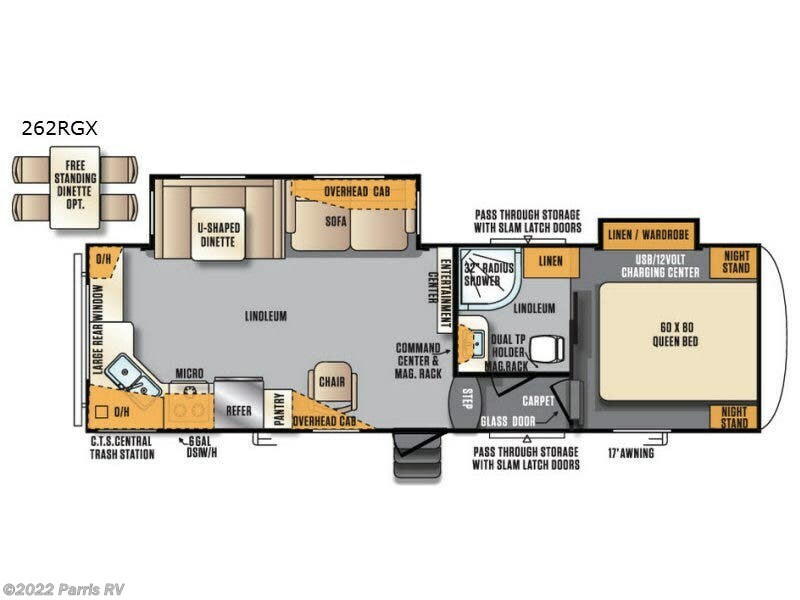 The bathroom is on the left. 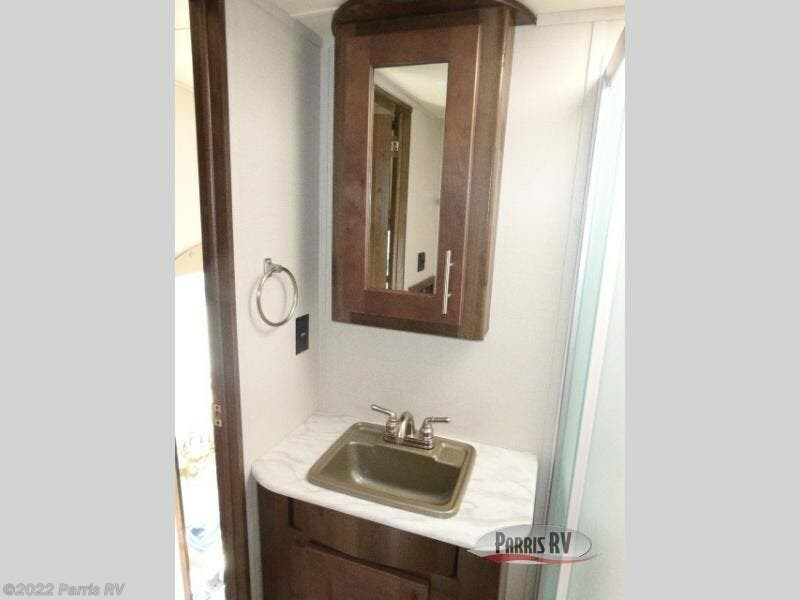 Inside the bathroom you will find a sink, corner shower, linen cabinet, and toilet. 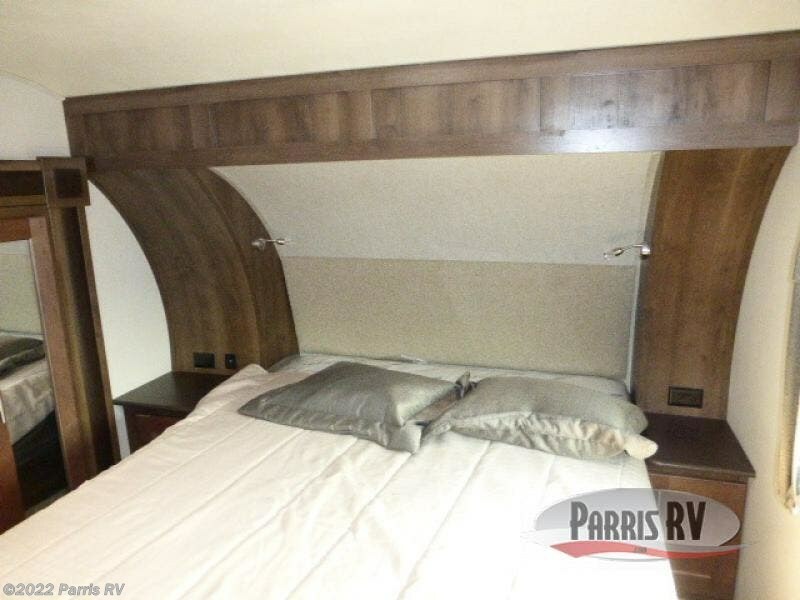 The front bedroom greets you with a queen bed and two nightstands. 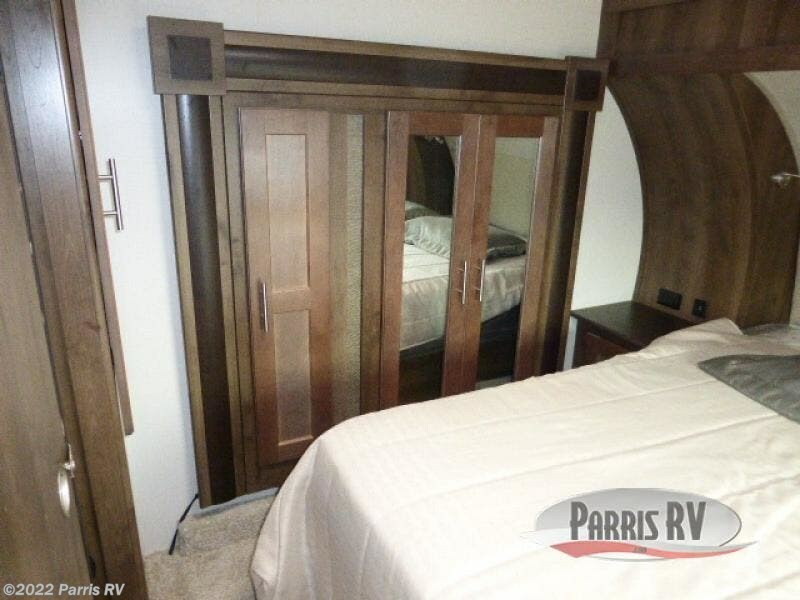 The linen/wardrobe slide offers extra storage space. 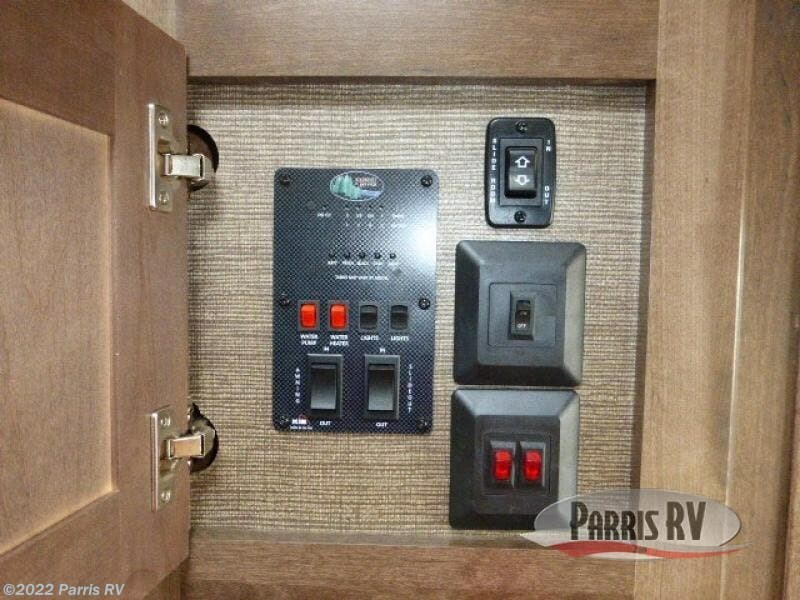 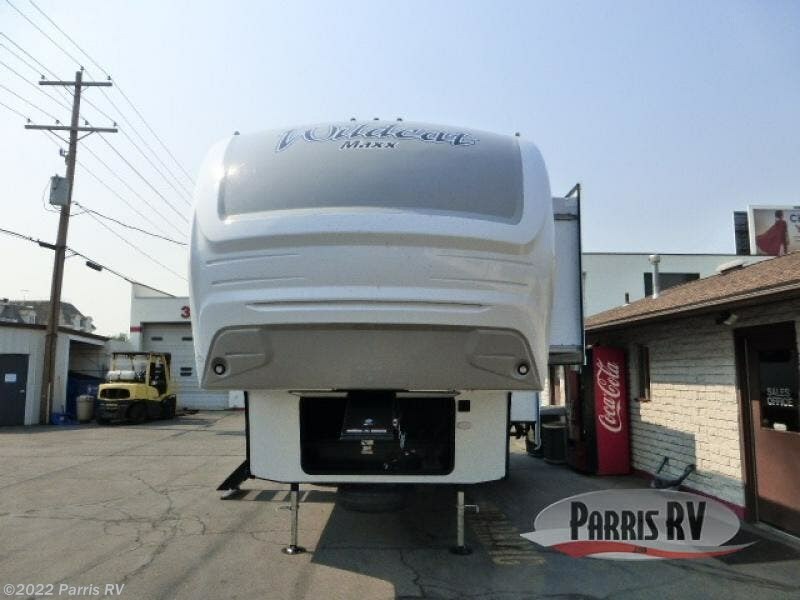 You will find overhead cabinets throughout the fifth wheel, as well as an exterior pass through storage area, plus more! 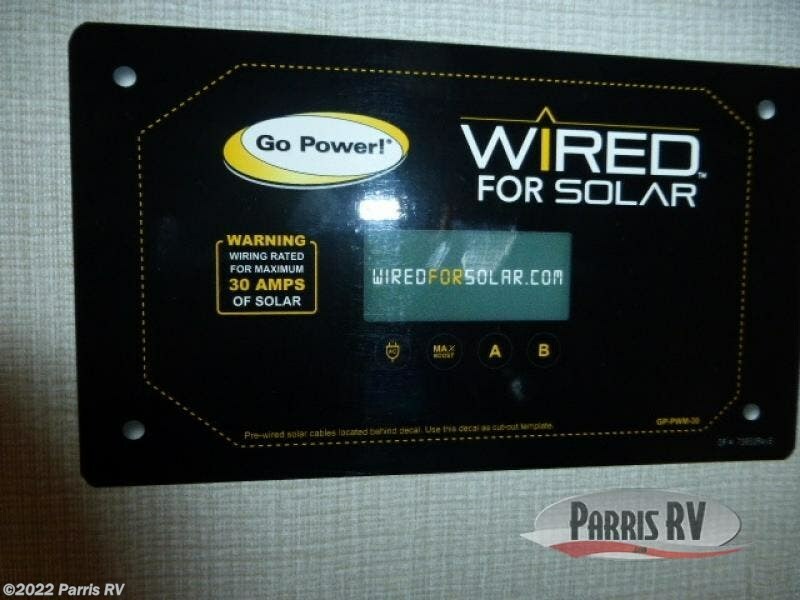 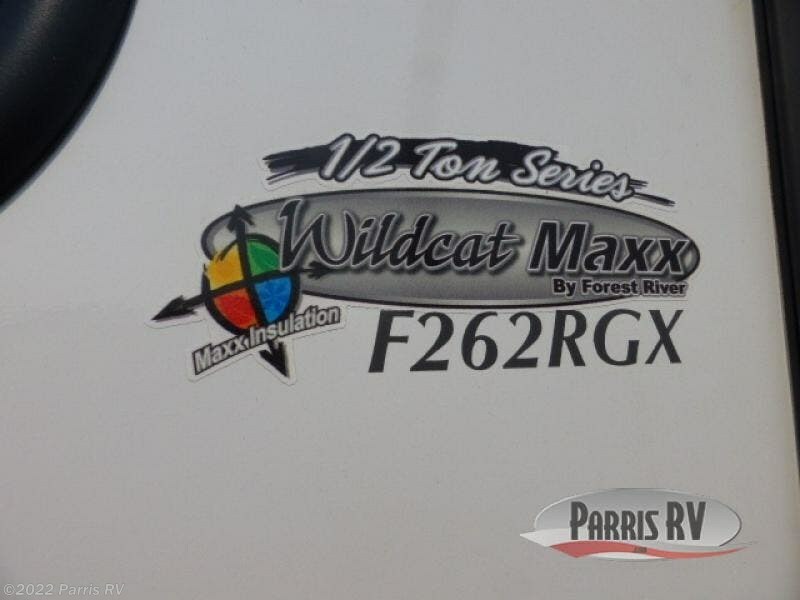 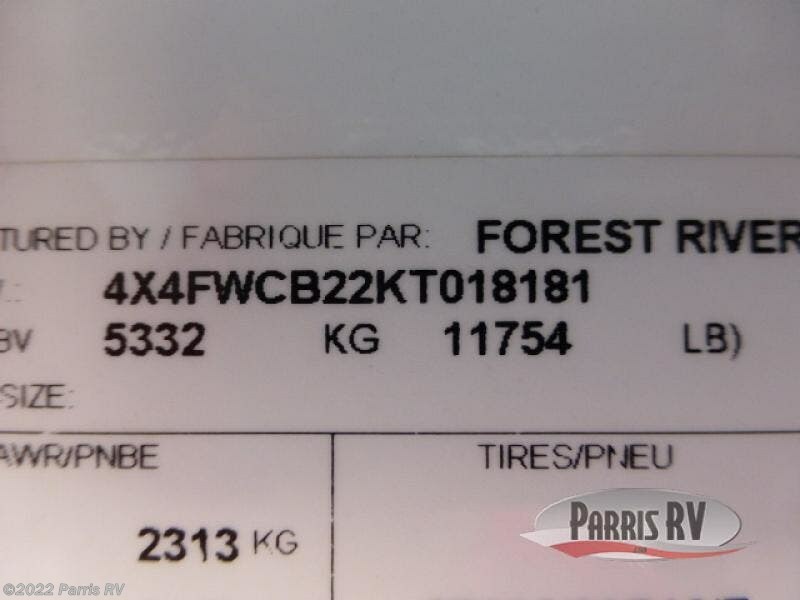 Check out Stock # WC018181 - 2019 Forest River Wildcat Maxx 262RGX on forestriverrvsource.com!